When you’re getting treatment for an illness or injury, the last thing you should ever have to worry about is whether or not your hospital is providing the best possible care. 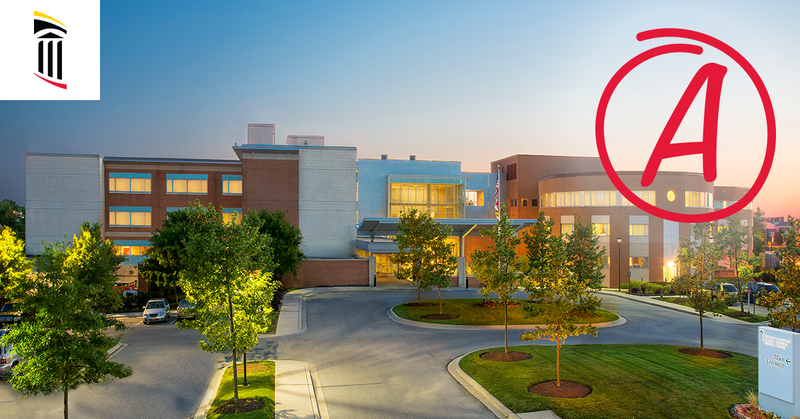 That’s why patient safety has always been our top priority and also why we’re so proud to announce UM Charles Regional Medical Center has received an ‘A’ grade from The Leapfrog Group, a national nonprofit organization committed to improving health care quality and safety. Whether it’s you or someone you know, a patient at UM Charles Regional Medical Center should always receive the highest level of care in a safe environment designed to protect them from infections, accidental falls, and more. Since UM Charles Regional Medical Center received the last biannual grade this past spring, our rating increased by two letter grades. This is a reflection of our ongoing efforts to promote a culture of safety and represents improvements made across every level of patient care. Developed under the guidance of a panel of national health care experts, the Leapfrog Hospital Safety Grade uses 28 measures of hospital safety data points to assign grades to more than 2,600 hospitals twice per year. Available for free to the public, the findings are peer reviewed and fully transparent to ensure everyone is able to make the right choice about where they receive care. In fall 2018, UM Charles Regional Medical Center was one of just 855 acute care hospitals in the United States to receive this designation. That means only 32% of hospitals graded received an ‘A’ for their efforts to maintain a high level of patient safety. To learn more about our grade or for additional information about how patient safety affects you, visit The Leapfrog Group’s Hospital Safety Grade website. Over the years, both of my parents have been frequent patients at CRMC, and they have consistently received excellent care by all the staff and medical professionals. Everyone has treated them with respect and concern. The family has felt confident in the level of care our parents have received. The facility is always clean and well maintained. Last week I had my own experience in the ER, and I am thankful for the medical knowledge of Dr. Diane. I came to the ER with a severe case of pinkeye, and she immediately took steps to investigate the situation. Due to her expertise, a potentially dangerous and life-changing disease was handled effectively. She had a CT done on my head, and quickly realized the seriousness of my illness. She had me transferred to Johns Hopkins, where I have received days of tests and treatments. Thankfully my eye is saved, and I should recover with no long term damage. I am impressed and grateful. GREAT LEADERSHIP OF MR. NOEL CERVINO ,CEO OF CRMC.